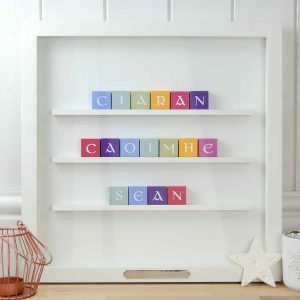 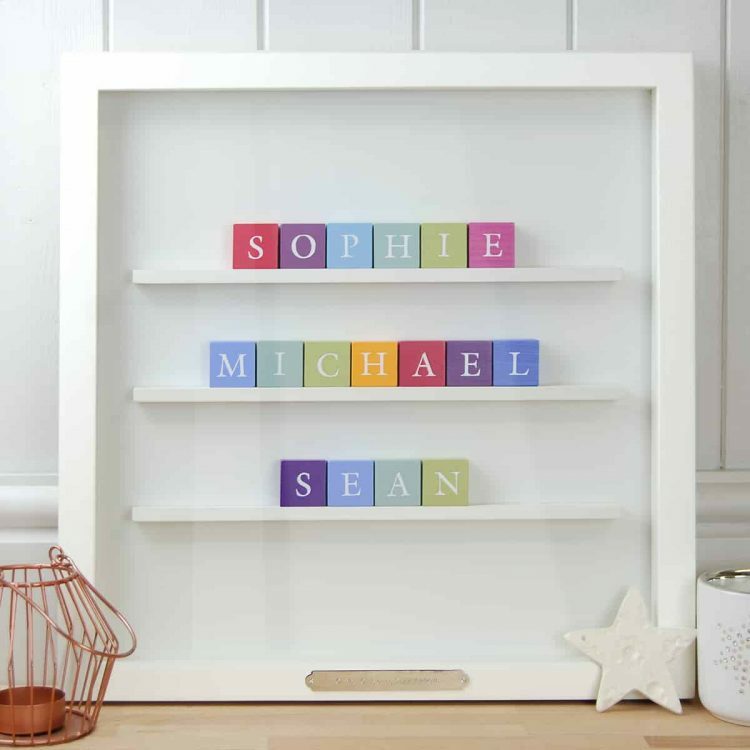 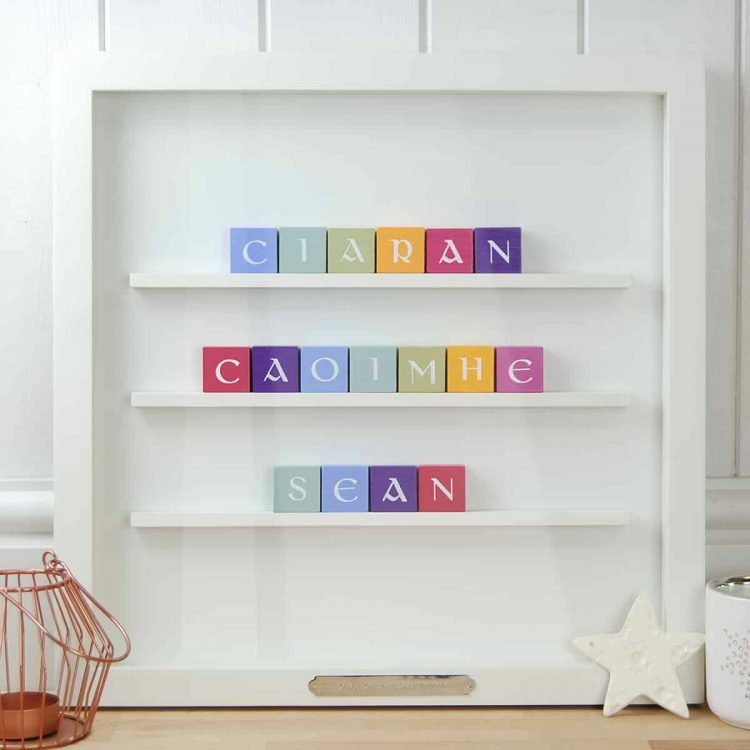 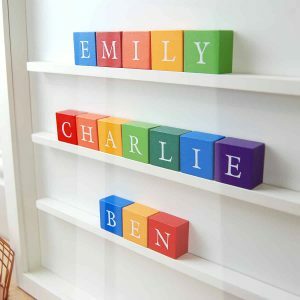 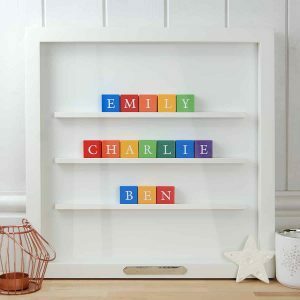 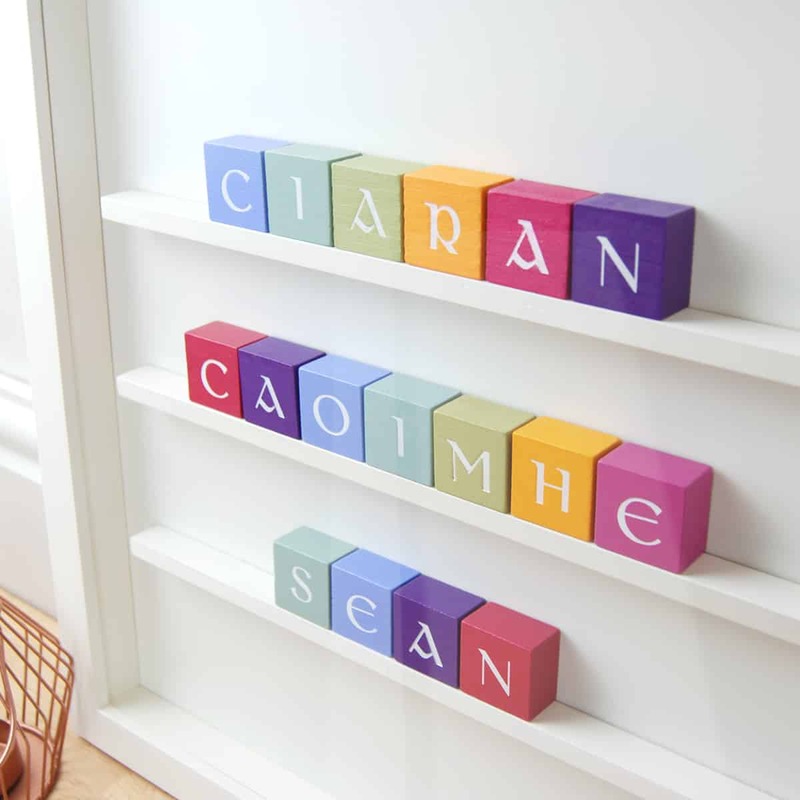 Our hand stamped wooden Alphabet blocks in primary colours or pastel colours will certainly impress. Choose any names or words up to 9 letters per line. Free engraving is included-our custom silver engraving plaques are attached to the bottom of the frame (outside). 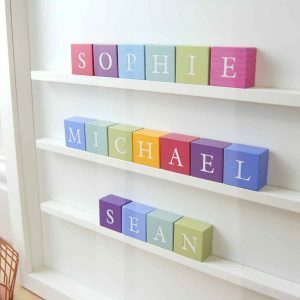 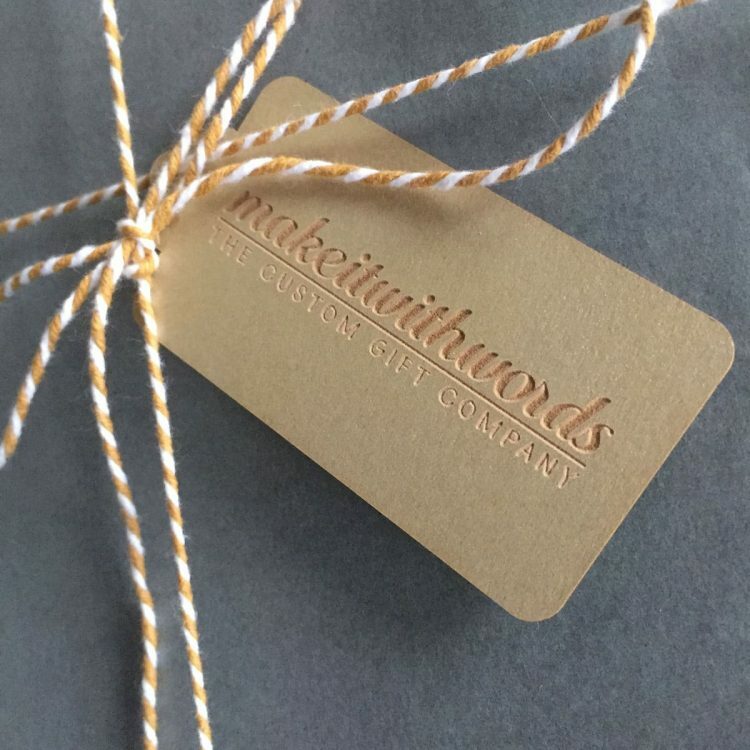 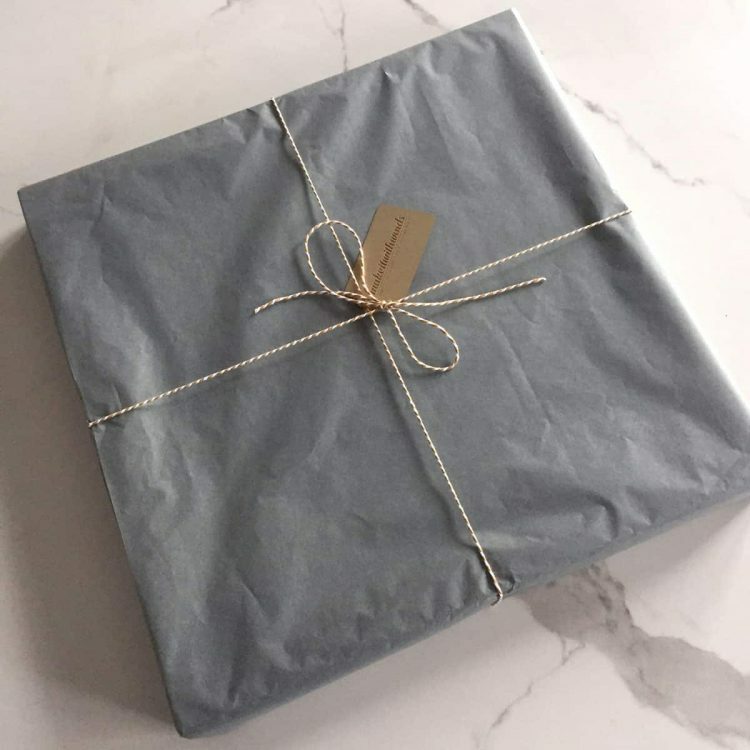 You can include; Date of birth, Christening, Birthday date, meaning of the name or any personal message (50 characters max).